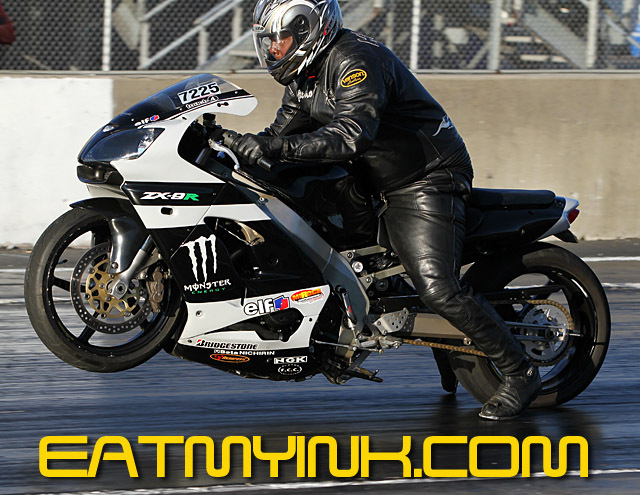 The Mickey Thompson MIRock Superbike Series blistered legendary Rockingham Dragway this past weekend, as the world’s largest motorcycle drag racing organization concluded it’s 2013 season with the Lee’s Performance World Finals on November 1-3. Mother Nature made it a tricky three days for Steve Earwood’s hardworking staff, washing away a beautifully prepped track with a deluge on Friday and coming back with rain, cool, and damp conditions Saturday night. But through it all, Rockingham starter “Little Man” and his staff kept spraying plenty of PJ1 traction compound to deliver track records from the most razor-edge bikes around—the high horsepower, street legal rubber-shod machines of Orient Express Pro Street. 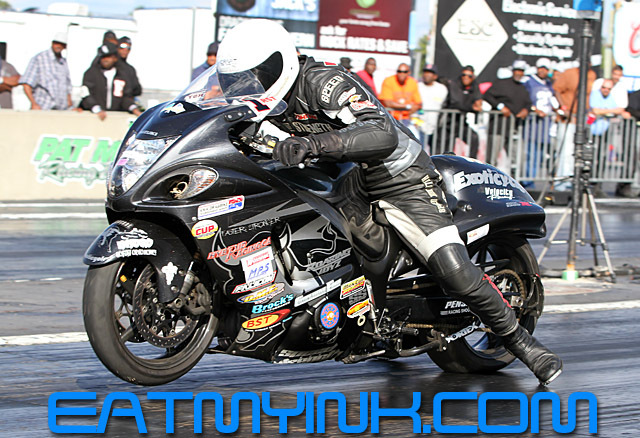 Looking to nail down his first championship, Joey Gladstone qualified number 1 with a 6.949 at 211.70 mph on his turbocharged, DME Suzuki Hayabusa. Gladstone bettered that in eliminations with a 6.942, and along the way secured enough points to finally stop three-peat champ Rodney Williford’s stranglehold on the class. Gladstone needed a holeshot to get past teammate (and Battle Royale winner) Terrence Angela’s 213.98 mph blast in the semi, then faced Battle Royale runner-up Tony Ficher in the final. 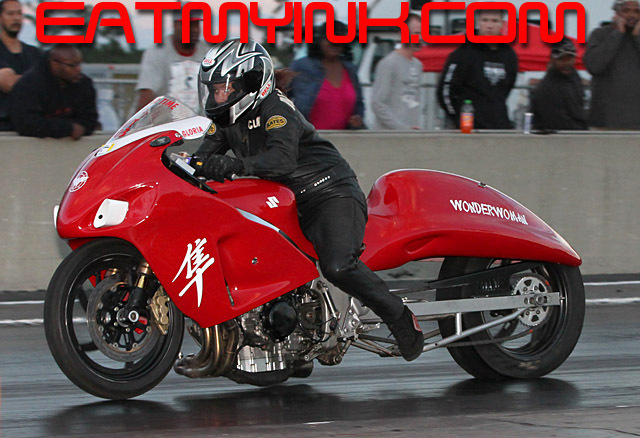 Ficher was slaying all-time supercharged Pro Street records on his deafeningly loud ‘Busa, and nailed an .018 light to Gladstone’s .044 in the final. 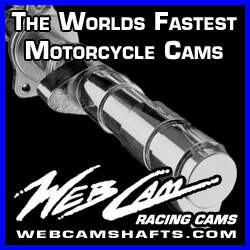 Ficher lost a little ET somewhere on the track, and as both bikes streaked through the traps side-by-side at 210 mph, Gladstone’s winlight flashed on. DME Real Street also saw an intense points battle between class titans Johnny “Turbo” Dobrin—the defending champ—and multi-time champ Jeremy Teasley. By the time these two met in the final, Teasley already had the championship secured. Then in then final, “Jeremy had me by a little bit on the tree, as he always does, and a little on the 60 foot, as he always does,” said Dobrin. “Then I missed my shift button. 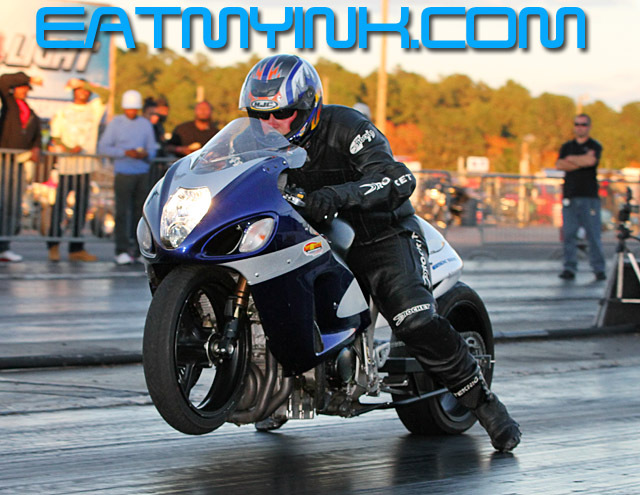 I found it, then I missed it again!” The exasperated Dobrin had to watch Tealsey pull away to the win on the Roger Starrette owned-and-tuned, nitrous-huffing Kawasaki ZX14, while Dobrin’s own Exoticycle turbo ‘Busa slowed from the missed shifts. It was Teasley’s incredible fifth Real Street title in multiple sanctions. …no…Jeremy Teasley won the championship and the race, AND…. But Teasley wasn’t finished winning championships. 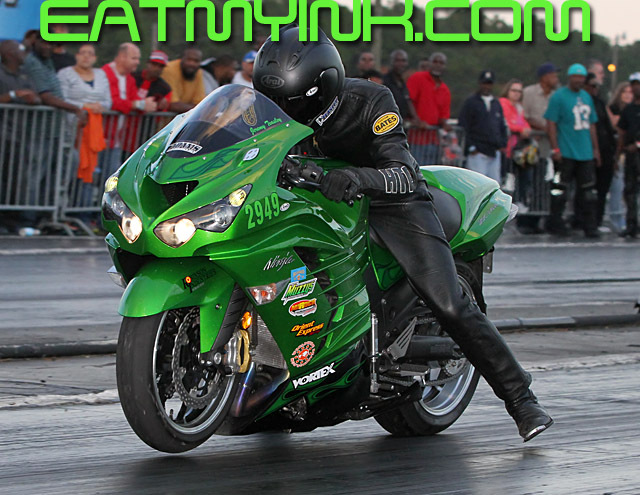 Jeremy also won the MIRock Crazy 8s championship on his own ZX14R. The Crazy 8s race was won by number 1 qualifier Chad Milford, who shook off the effects of getting nailed in the staging lanes by a runaway scooter. Milford beat Rick Janney Jr. in the final. 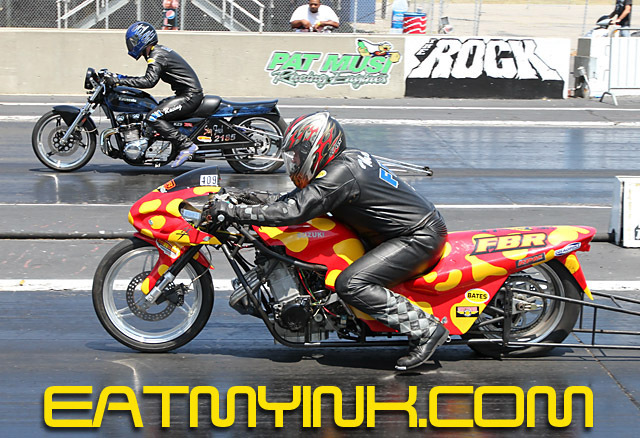 Riding Barry Purnell’s stealthy ZX9, Richard Gadson took out new FBR Shop 5.60 champion Marion Ford in the final of that class. Gadson had an .012 light on the streetbike. Veteran racer Kenny Cornnell finished his season off in style, bookending his first ever win at The Rock back in March with another one in November and the first ever Louis Concrete 4.60 championship. Cornell beat Jay Beasley in the final. After a spirited battle with a whole host of potential winners, “Hillbilly Hustler” Jimmy Shifflett won the Trac King/APE Top Sportsman championship. But in the final it was Jay Windsor and Richard Diggs. Windsor redlit and Diggs took the win. 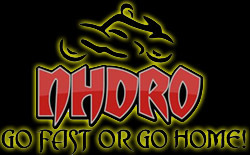 The absolute best of the best in the two-wheeled bracket racing world fought mano-y-mano in the Street and Pro ET Tournament of Champions. Connecticut Kingpin Bob Carlson beat Barry Pryer Sr. in the Street ET Tournament final. 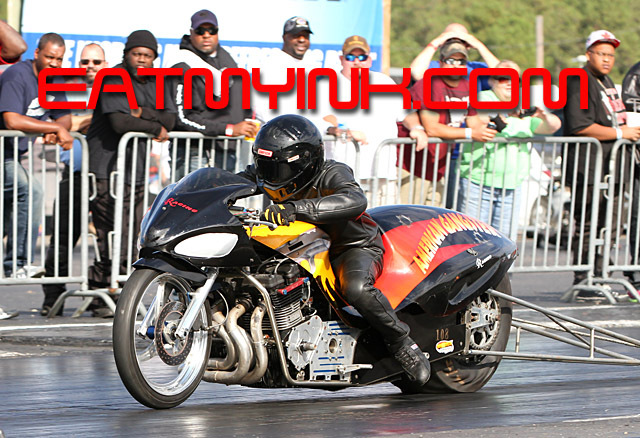 In what was also a battle of streetbikes, Michael Herman Jr. beat fellow Virginian Glenn Glass in the Pro ET Tournament final. 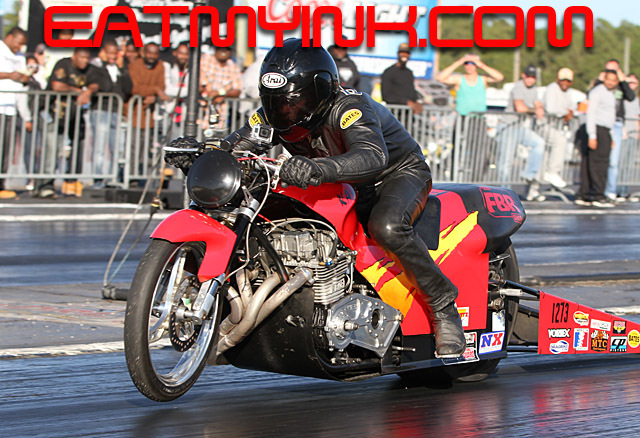 Jerry Turner beat Boyd Mathias in Saturday night’s Nitrous Express Pro ET final, but…. Jerry Turner beat Boyd Mathias in Saturday night’s Nitrous Express Pro ET final, but Mathias came back around and won Sunday’s final over Wayne Smith. 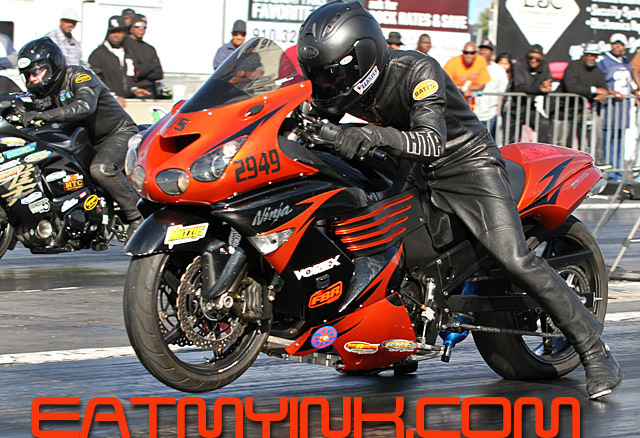 Wayne also runner-upped in Sunday’s Brock’s Performance Street ET final, with Spencer Claycomb taking the win. Mike Schulz beat Herman in Saturday’s Street ET final. The Hustler’s Paradise known as Afterdark Undergound raced past 2:00 am, with Gadson claiming two wins on “Bud Light Lime.” And as always, a family reunion atmosphere flourished all weekend beneath beautiful Rockingham sunsets. 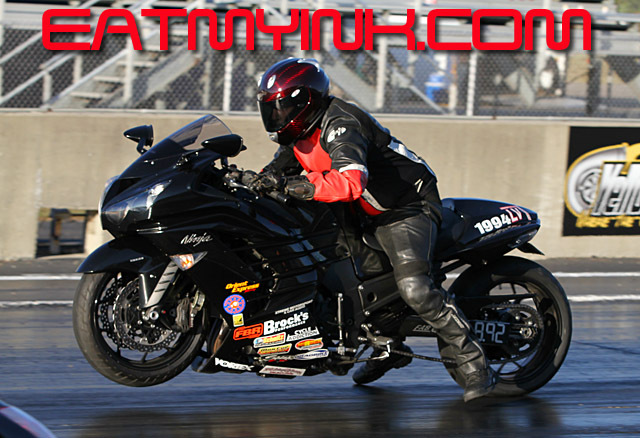 Keep checking all your favorite websites for the 2014 Mickey Thompson Performance Tires MIRock Super Bike Series schedule, and for any additional info on the series check http://www.mirockracing.com . 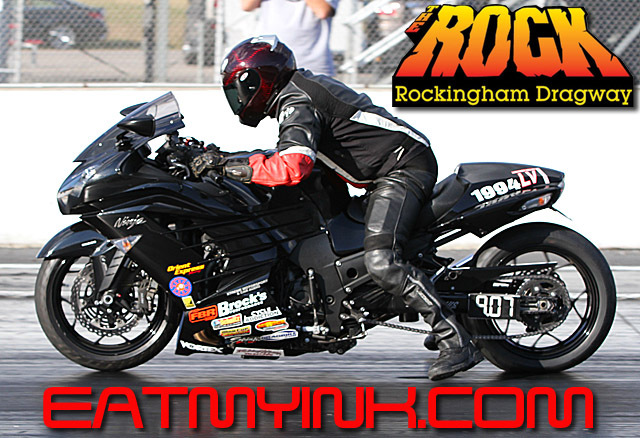 In addition to the return of pro classes to Rockingham for the first time since way back in March, the Finals will feature the always intense Street and Pro ET Tournament of Champions—the absolute best of the best in the two-wheeled bracket racing world. 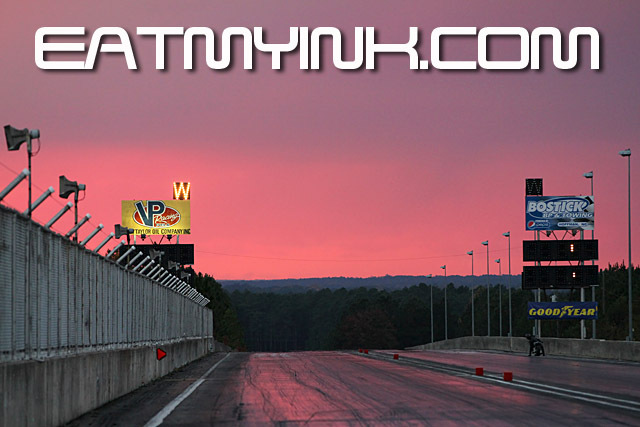 The pro classes come off of the recent intense action at October’s Fast by Gast Fall Nationals at Maryland International Raceway—site of the $10,000 to win Orient Express Pro Street Battle Royale. 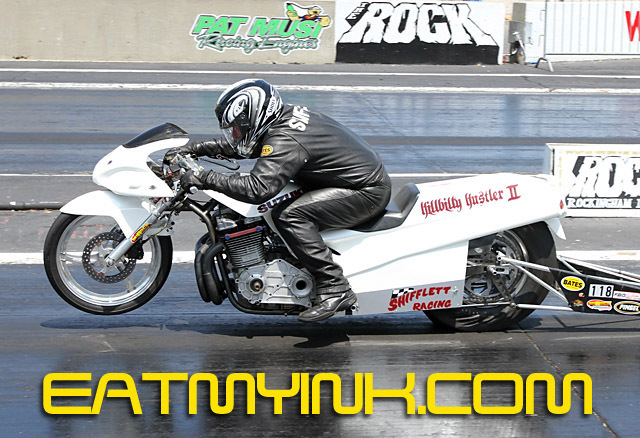 Joey Gladstone qualified number 1 for the Battle on the turbocharged, DME Suzuki Hayabusa with a 6.986 at a whopping 215 mph, but even he failed to make it to the first ever side-by-side, 6-second Pro Street final round between Tony Ficher and Big-Money-Winner Terrence Angela. But Gladstone does bring the points lead to the Rock, where his perennial battle with three-peat champ Rodney Williford will reach it’s 2013 conclusion. 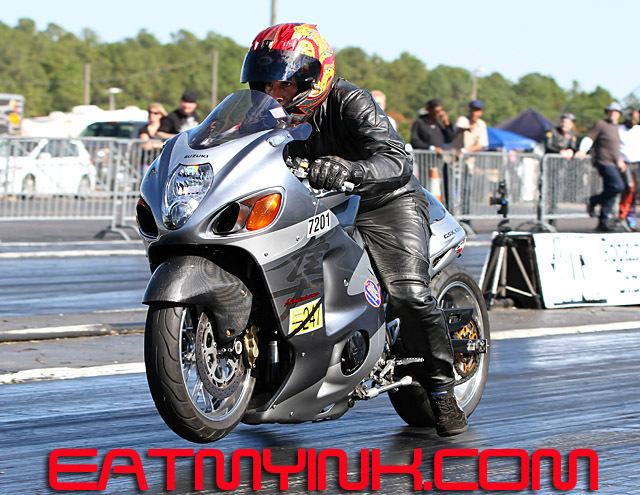 Defending DME Real Street champ Johnny “Turbo” Dobrin stole some of the Battle’s thunder at MIR with a 7.750 number 1 qualifier on his Exoticycle turbo ‘Busa, in a seven-bikes-quicker-than-8-seconds field no less. 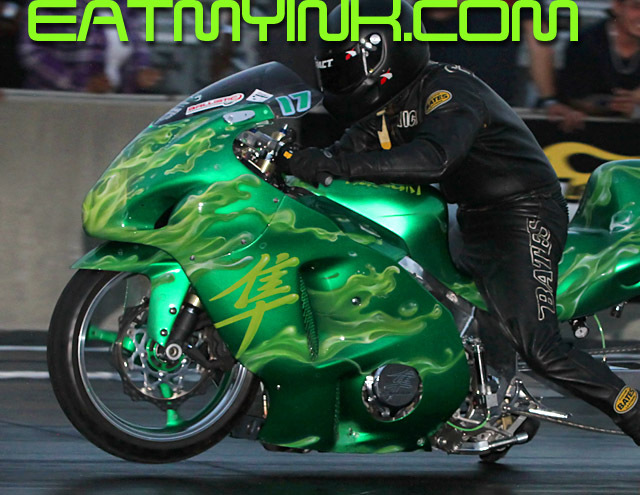 But Dobrin couldn’t fend off multi-time champ Jeremy Teasley and his Roger Starrette owned-and-tuned, nitrous-huffing Kawasaki ZX14 in the final. Dobrin has one more chance at The Rock to drive around points leader Teasley and prevent Teasley’s incredible fifth Real Street title in multiple sanctions. Teasley also has the MIRock Crazy 8s championship in his sights, but Connecticut Kingpin Bob Carlson, Travis “Thibodeaux and” Boudreaux, former champ Eddie “Who” Chapman, Jordan “By the Fire” McDougald and “Fearsome” Andy Baumbach will be among the crowd trying to bench Teasley early in this wildly popular index class that was born in the MIRock series. Trac King/APE Top Sportsman will, as always, take the quickest bracket racers and square them off for this additional, Big Daddy prize. “Hillbilly Hustler” Jimmy Shifflett and his Virginia trailermate Michael Rankin are battling for the season title, with the REAL Hustler Boo Brown lurking in third and ready to pounce. 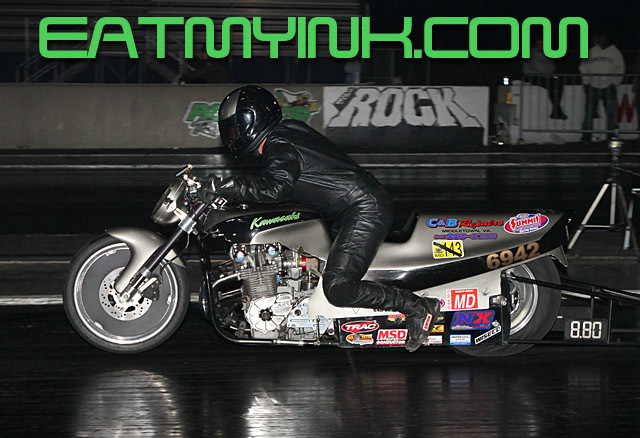 The first ever championship for Louis Concrete 4.60—the world’s quickest two wheeled index class—is already locked-up by veteran racer Kenny Cornnell, who finished off the season in style after taking his first ever win at The Rock in March. 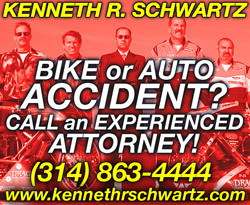 Kenny will be looking to add one more win to his season total. 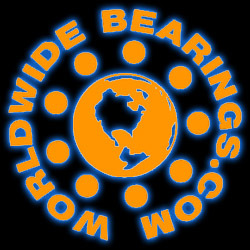 Likewise, Marion Ford has already won the FBR Shop 5.60 championship in the class that—well, let’s just say it—he sponsors….If you see that as a conflict of interest, then get your own bike and get out there and beat him! 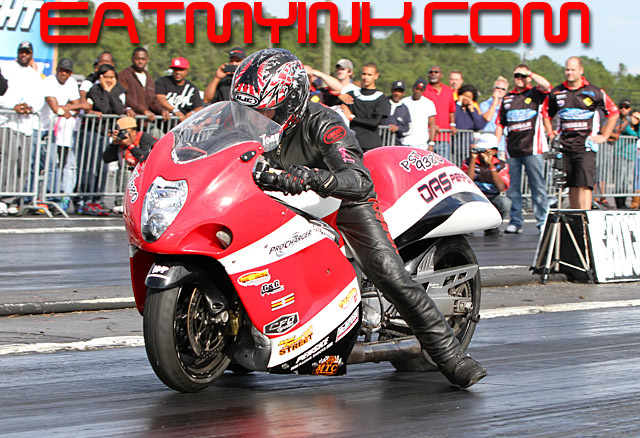 Brock’s Performance Street ET and Fast by Gast Pro ET will run two full races in addition to the already mentioned Tournament of Champions. 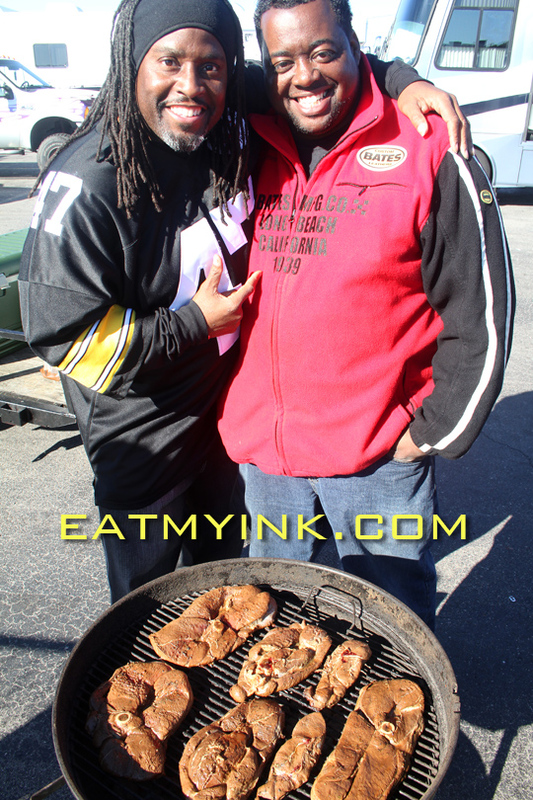 As big as all these classes are, November at The Rock is all about grills and fryers cooking overtime to keep everyone fueled up for Saturday night’s Afterdark Undergound—the original and still the best Hustler’s Paradise. 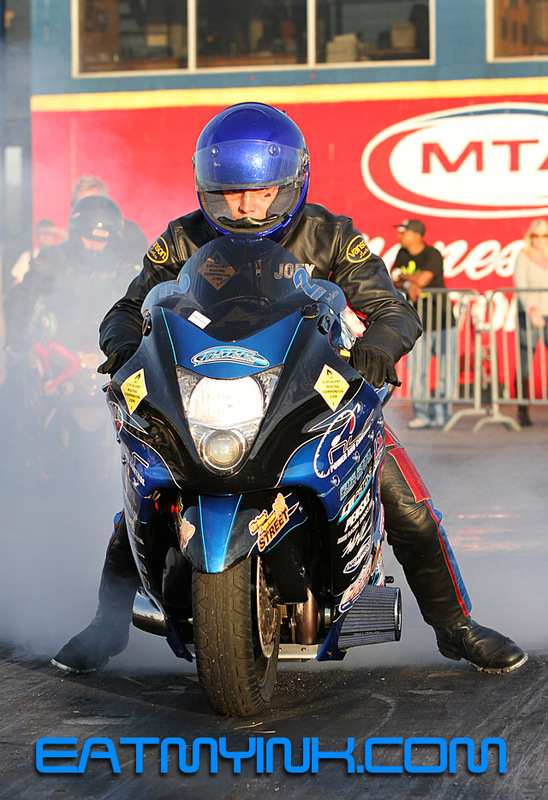 There is no other event on the motorcycle drag racing calendar with the history and tradition of the Lee’s Performance World Finals—you know you HAVE to be there!